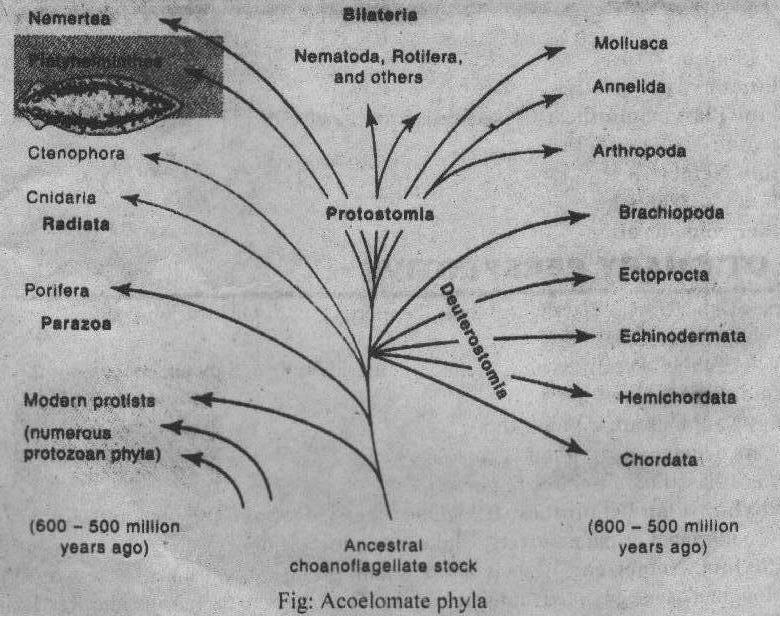 THE Triploblastic Acoelomate Body Plan EVOLUTIONARY PERSPECTIVE Members of the phyla Platyhelminthes, Nemertea and Gastrotricha show following advance characters: They are first bilaterally symmetrical animals. Therefore, they are more Complex than the cnidarians. All these animals are triploblastic. They are acoelomate (without a coelom).